Three examples of how small, locally based charities raised significant sums with a Hatstand Opera performance. 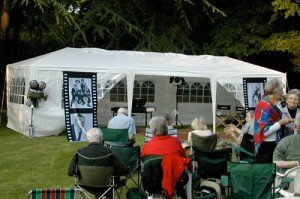 A warm, sunny evening set the perfect Hollywood atmosphere for a performance of “Lights, Camera, … Action!” on a front lawn in the suburbs of Birmingham. 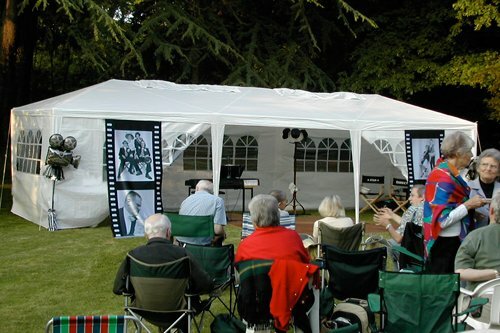 The enterprising Charity Club borrowed a committee member’s house for the day, set up a mini marquee, and invited the audience to picnic on the lawn before the show. With a backdrop of pine trees, and a natural soundboard provided by the house, it was a lovely performance with a real community atmosphere. Just a short note to say thank you to you all. What a lovely night it was and those who came said it was one of the best concerts they had been to in such a setting. Even in the cold and drizzle of a February afternoon site visit with the client, our hilltop pig field venue still looked amazing, with sweeping views across the rolling Hampshire countryside. 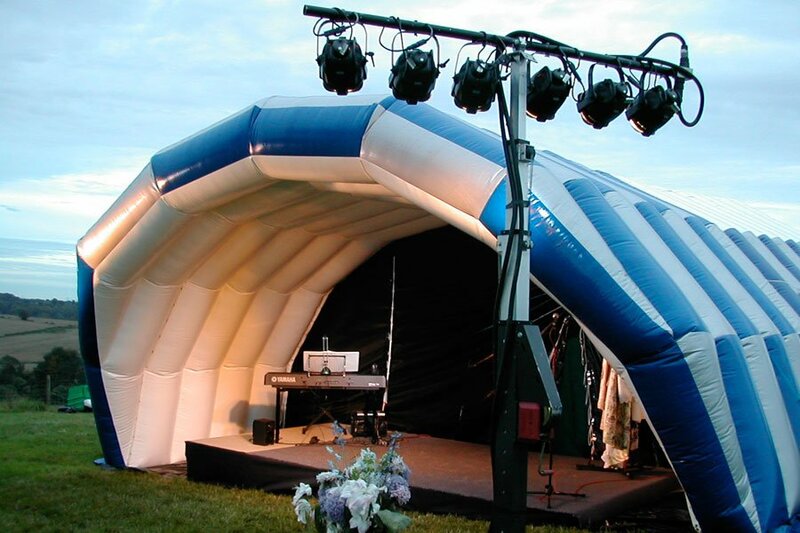 For the actual performance in July, the setting looked superb, with a specially built raised stage put together by one of the committee members in under an hour, covered by a large inflatable stage shell. There were stalls selling crafts and paintings, plus tethered hot air balloon rides for even more impressive views, and if there was a little drizzle early on, it provided the most amazing rainbow for the end of Act 1. Magical! The audience did us proud, dressing to the nines and enjoying their picnics and hog roast. A great night enjoyed by all. We owe you huge thanks for entertaining us so brilliantly… You really were fantastic and so many people have told us the same – even the younger ones enjoyed the music because you have a wonderful knack of making it all understandable and most of all, fun. How often must there be marquees left on lawns across Britain, unused for days when the dancing or wedding has finished? 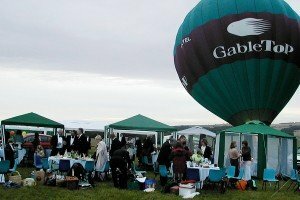 After the Somerhill School ball was over, the enterprising fundraisers for KHoCA, a Kent-based charity, used the marquee the following evening for a fundraising performance and ‘inside picnic’. The only thing they had not checked was the theme of the ball, so we performed in a marquee decorated as a maharajah’s palace, bejewelled and swathed in red cloth. The effect was to make us look like boiled lobsters for most of the evening, but the audience had a wonderful time with opera in a Bollywood setting! 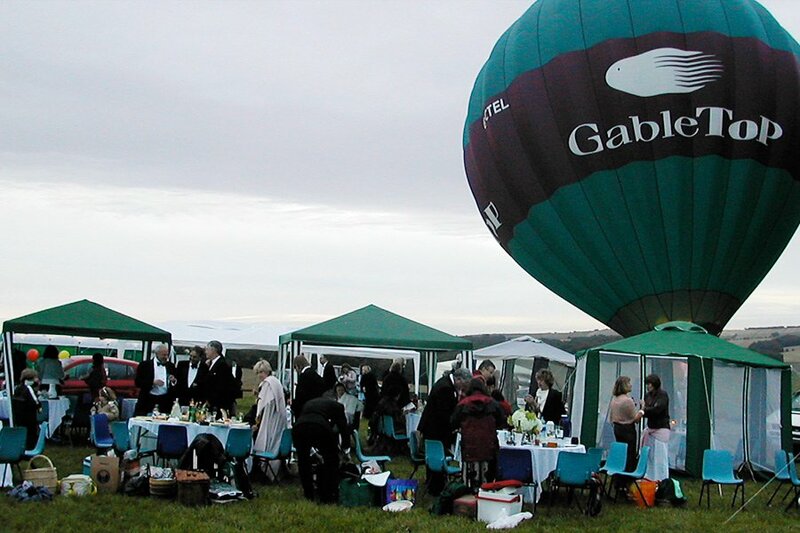 Thank you all for much for a wonderful evening on Sunday – you were all fantastic and everyone had a fabulous evening. Working with you was extremely easy and fun – there is already talk of another event. My phone, emails and texts have been red hot for the past 24 hours, in praise of you.The total raised for KHoCA comes to just under £4000, a brilliant sum.